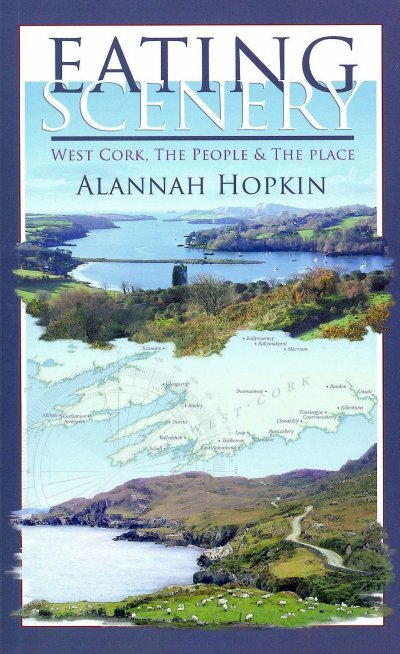 2008 is the International Year of the Potato and I had been meaning for some time to find out a bit more about potato growing in West Cork. As a food, spuds are particularly bound up with our national food culture though perhaps as much for the tragedy of the famine as for our affection for their taste, versatility and nourishing qualities. Yes, we do like them, but potatoes are largely taken for granted and are overlooked as a topic of conversation apart from the few weeks in mid-summer when the earlies arrive. Then they are burst open in their skins and devoured before the butter has even melted. Well, at least that’s how I remember it, but of course we now have “new” potatoes on the shelf for most of the year. These imposters are tasteless, soapy and not worth bothering with, but their constant availability does steal the thunder somewhat from the real earlies.As with most commercial vegetable growing access to outlets is the key and unfortunately over the last 20 years that access has actually worsened. For a whole host of reasons, to do with scale and systems, it is actually easier for Dutch potato growers to get their product onto Irish supermarket shelves than it is for farmers in West Cork. Growers outside of the greater Cork city area with a couple of acres of spuds face the challenge of having to find and service their own markets. This wasn’t always the case as I found out on a recent visit to the Sheeps Head where I met with Stephen O’Donovan and Jimmy O’Mahony. Stephen along with his father, Patrick and his brothers, grows about 10 acres of potatoes on a hillside farm above the village of Kilcrohane. They are the largest remaining commercial growers in an area that was once the envy of Ireland for its ability to get finest quality early potatoes out to the whole country. Jimmy, who grows on a smaller scale, told me about the Kilcrohane Growers Co-Op which for almost 15 years up to the late 1980s organized the growing, distribution and sale of potatoes and daffodils from up to 40 farms in the area. At its peak, the co-op would send 30 tonne truckloads of early potatoes every 2 days from its packhouse in Kilcrohane to lucrative wholesale markets in Dublin from where they would be on the shelves the next day. 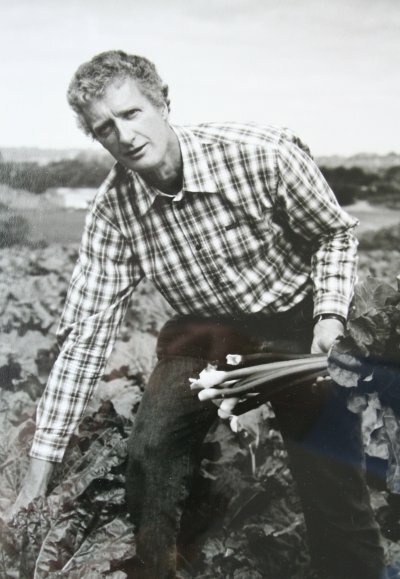 Nearly all the farms in the areas were members and even with a relatively small crop a farmer could access and service markets that weren’t otherwise viable. 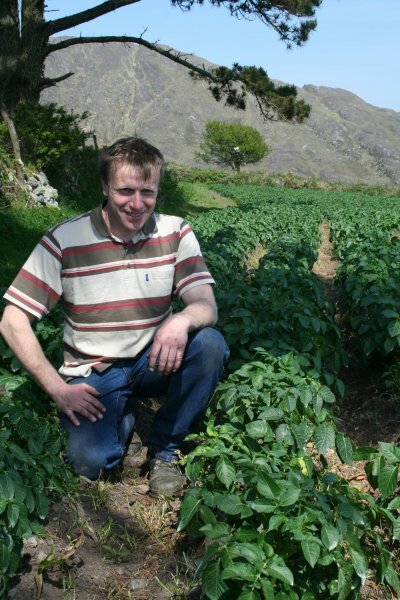 Kilcrohane has a natural advantage for potato growing being frost free from very early in the year. Getting first to market allows growers to achieve significantly higher prices for the first week or two making the whole operation more attractive. I left Kilcrohane vowing to either find excuses for regular trips to Bantry during the summer or better still to find out about similarly dedicated early potato growers in my local area. And I’m more determined than ever to hang on an extra few weeks ignoring the temptations flown in from around the world so that I can truly enjoy new potatoes with butter.